Many gamma-linolenic acid (GLA) supplements contain oil pressed from seeds of the plant Ribes nigrum, commonly known as black currant. For the best benefits, the University of Maryland Medical Center (UMMC) recommends buying refrigerated black currant oil supplements certified as organic and packaged in light-resistant containers. Labels should show an expiration date. The standard dose for adults is 500mg, twice a day. Black currant oil is an excellent source of gamma-linolenic acid (GLA), a type of omega-6 fatty acid that mostly occurs in plant-based oils. Omega-6 fatty acids are essential fatty acids, meaning they're necessary for health but the body can't produce them. People must get these fatty acids through diet or supplements. Omega-6 fatty acids are essential for brain function and metabolism regulation, and for healthy bones, skin and hair. GLA is especially important because some other types of omega-6 fatty acids can cause inflammation in the body that can lead to heart disease. GLA, in contrast, appears to reduce inflammation, as explained by the UMMC. This anti-inflammatory property may be beneficial for rheumatoid arthritis patients, according to the National Center for Complementary and Alternative Medicine (NCCAM). GLA may relieve joint pain, stiffness and tenderness, and can help patients decrease their need for pain medication. 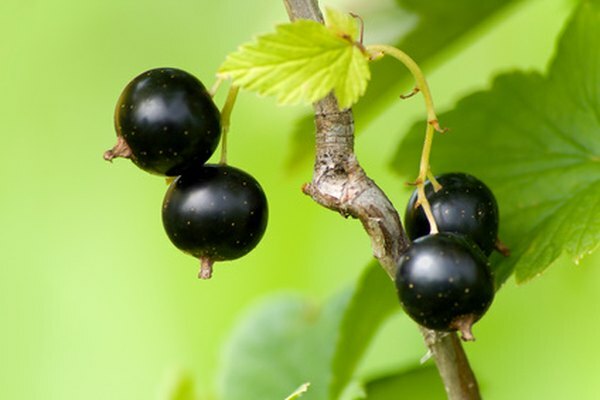 Black currant oil also contains alpha-linolenic acid (ALA), an omega-3 fatty acid associated with anti-inflammatory properties and with lowering cholesterol levels. A study published in the June 2005 issue of the Journal of Nutritional Biochemistry found that serum levels of LDL cholesterol, the so-called bad cholesterol, were significantly lower after four weeks in people taking black currant seed oil compared to fish oil, a rich source of omega-3 fatty acids. Taking GLA supplements for at least six months may reduce nerve pain in patients with diabetic neuropathy, according to the UMMC. Neuropathy causes numbness, tingling and sometimes pain in the toes, feet, fingers and hands. Diabetics with good control of their blood glucose may find GLA more effective than those with poor regulation of blood glucose. Taking GLA supplements such as black currant oil may help lower high blood pressure, according to the UMMC. People may get added benefits by taking GLA along with omega-3 supplements containing docosahexaenoic acid (DHA) and eicosapentaenoic acid (EPA) from fish oil. The UMMC notes that studies with GLA have found reductions in both diastolic and systolic blood pressure.